It is important to note that only the addresses linking to the signatures page of the committee "Vytautas Radžvilas: Reclaim the State!" are being blocked. Links to the pages of other electoral candidate lists aren't being blocked by Facebook. 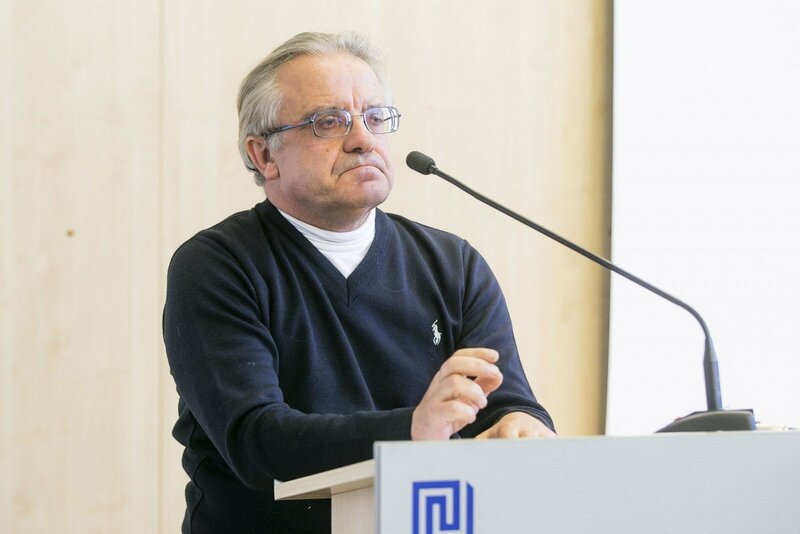 Vytautas Radžvilas himself has commented on the stark similarity of such selective information blockade against a single candidate list to the censorship policies enacted during the Soviet occupation era. "We've already witnessed an analogous information blockade, conducted through means standard for that time, during the formative years of the Sąjūdis liberation movement. Those of my generation remember it clearly. We're facing the same challenge today – perhaps for the first time since the restoration of our independence. On one hand, these news are pleasant in a certain way, as it is a clear confirmation of our status as the only real opposition to the prevailing system, considering the drastic means employed to silence us. On the other, we're not the only victims of such oppressive measures – the citizens were unjustly deprived of the information censored, while the bodies in charge of organizing the election had their website's accessibility compromised. The citizens must realize the implications of the mass censorship that is taking place during an allegedly free and democratic election process", said prof. Vytautas Radžvilas, one of the founders of the Sajūdis liberation movement, and the founder, as well as the original chairman, of the Lithuanian liberal party. "It matters little whether this blockade was enacted by the initiative of organized tattletales and snitches, or the centre for "content observation" (read: citizen censorship) recently founded in Riga by Facebook itself. The important thing to note here is the scandalous manner in which the citizens' right to access information and express their will in the elections has been infringed upon, as well as the right of the candidate to compete on equal legal grounds for the possibility to partake in the electoral process. Through these actions, Facebook is interfering with the electoral process of a sovereign state. The Central Electoral Commission is obligated by law to ensure a free and democratic electoral process, so we will undoubtedly present our claim both to it, and to representatives of Facebook, and we're considering the possibility of contacting the legal authorities as well", stated prof. Vytautas Radžvilas, currently participating in the elections for the first time in almost 30 years, during which he taught at the Vilnius University and headed its Department of European Studies – a field he's a certified specialist in. Signatures in support of the candidates' right to participate in the European Parliament elections will be collected until the 11th of April.